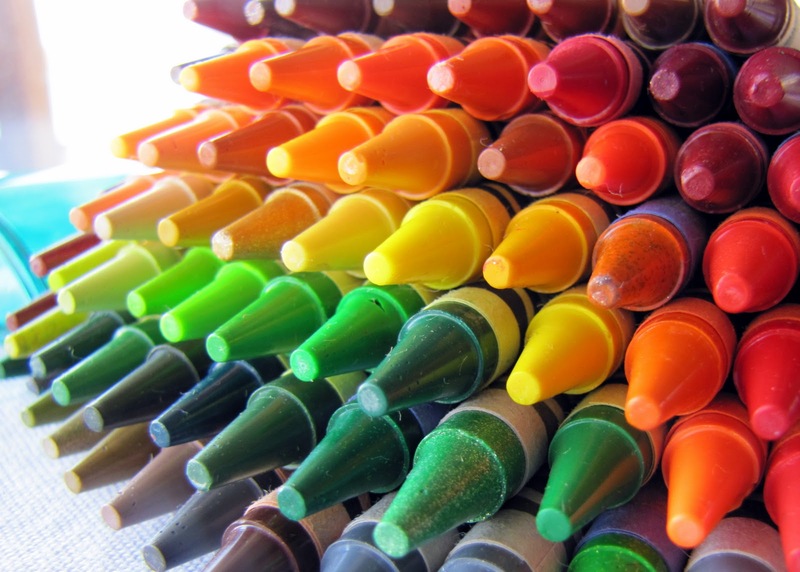 So what is Omni-channel experience & how retailers are using it? Omni comes from the word Omnis which can mean all or universal. Omni-channel is about true continuity of your experience and has become heart of Digital Transformation. Today, we live in an Omni-channel world where we often flip channels to complete a single transaction. We research a purchase on the internet, check social media for peer reviews or friend’s suggestions, ‘showroom’ the products in retail stores, then complete a purchase online or in store and then in case of issues, contact service provider with whatever channel possible. These Omni-channel customer journeys are complex, but if understood properly, offer limitless opportunities for brands to engage and influence customers in new and exciting ways. Customers now expect to receive service from your organization on the channel of their choice, which might be voice, email, SMS/text, web, mobile or social media. Companies are beginning to provide service on all of these channels – but too often, those channels may exist in silos. This multi-channel service can be taken to the next level with an Omni-channel solution that integrates channels to provide a consistent customer experience. Top retailers understand their customers in even greater detail such as gender, demographic, location, website browsing habits, search habits, and where they shop in-store. They track the customer's journey through each channel, like TV, display, search, email, and direct mail providing a holistic view of how a valuable customer makes a purchase. By measuring these valuable actions beyond clicks, phone calls, cross-device conversions, and even store visits, retailers can see how their digital efforts are affecting in-store sales. Further organizations have to take care of consistency, transparency, internal alignment & measurement to make Omni-channel experience as breeze. Disney: Disney's Omni-channel starts with your initial experience on beautiful, mobile-responsive website. Even their trip-planning website works well on mobile, which is a rear phenomenon. Once you’ve booked a trip, you can use the My Disney Experience tool to plan your entire trip, from where you’ll dine to securing your Fast Pass. In the park, you can use your mobile app to locate the attractions you want to see, as well as view the estimated wait time for each of them. The Magic Band acts as a hotel room key, photo storage device for any pictures taken and a food ordering tool. Plus, it even has Fast Pass integration. Starbucks: free rewards card that you can use whenever you make a purchase. But unlike traditional customer loyalty programs, Starbucks has made it possible to check and reload your card via phone, website, in-store, or on the app. Freeing up your staff to dedicate their efforts to resolving more complex customer queries. With Omni-channel, it’s all about making the customer’s life as easy as possible. 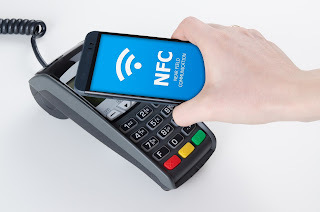 NFC - Near Field Communication - wireless power at your fingertips !! Few years from now your credit cards, bus pass, train tickets, loyalty cards for high street coffee shops will be gone due to digital transformation and you only carry your phone. Welcome to Near Field Communications (NFC), a contact less, WiFi style technology that could already be in your smartphone, and could soon be a regular feature of your commute. Near field communication (NFC) is a radio wave technology for smartphones and similar devices which allows to establish communication with each other by touching them together or bringing them into close proximity, usually no more than a few centimeters. Unlike Bluetooth, no pairing code is needed, and because it's very low power, no battery in the device being read. NFC allows for data exchange between 2 devices like your smartphone & payment device through physical contact. Rental firms can send you keys via email and you can wave the keys above car lock and voila…..you are off !! Google Wallet was NFC's biggest push on 2011 allowing US Android users to pay using NFC technology. Apple Pay released in October 2014, allowing iPhone 6 and iPhone 6 Plus users to pay using NFC at participating retailers. Today Samsung, PayPal all are entering this market. NFC is further used in tags which are small stickers that contain NFC chip and based on programming it can change various settings, launch apps and perform some actions just by holding your phone near to it. NFC is still in its trial phase, but it's got a big future. 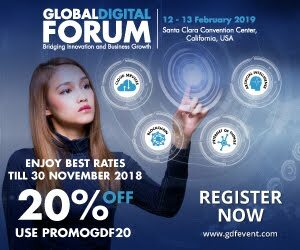 Cloud great enabler of Digital Transformation !! 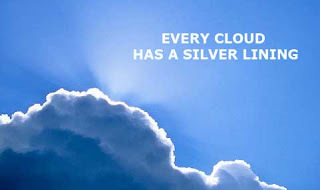 From being a shiny silver lining, Cloud has moved to business-as usual-for most enterprise organizations. In its simplest form, cloud computing allows companies to procure technology as services, including infrastructure, applications, platforms and business processes, via the Internet. Becoming digital is a priority for nearly every business on the planet. Top cloud service providers are Amazon Web services, Microsoft Azure & Google Cloud. The ability to scale up and scale down, enables digital without the burden of over provisioned costs. 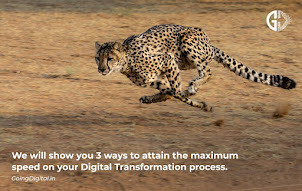 Cloud can reduce the costs up to 25% and can form the foundation for digital transformation. Today Big data, Analytics are by default coming up on cloud to exploit scale and speed at less costs. Cloud computing comes in three forms: public clouds, private clouds, and hybrid clouds. Depending on the type of data you're working with, you'll want to compare public, private, and hybrid clouds in terms of the different levels of security and management required. Public Clouds : A public cloud is one in which the services and infrastructure are provided off-site over the Internet. These clouds offer the greatest level of efficiency in shared resources; however, they are also more vulnerable than private clouds. Hybrid Clouds: A hybrid cloud is a combination of public and private clouds allowing IT organizations to become a broker of services - some they provide on their own and some they procure from public cloud sources. Cloud doesn’t just deliver reduced costs. Other significant business benefits can also be realized by adopting cloud to include quicker, easier procurement, improved quality of service and greater security. Blockchain disrupting many industries !! Until recently, Blockchain was a term only known to geeks and specialists. But in the last six months it has become a buzzword. In very simple terms Blockchain is the act of recording events in a database. 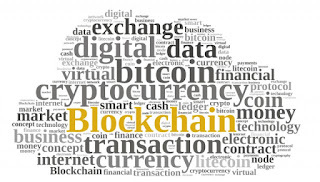 The database itself is referred to as the Blockchain. Once data is added to the Blockchain, it cannot be removed from the database or altered in any way. The Blockchain therefore contains a verifiable record of history. What is unique is the absence of a trusted third party (a bank that we visit or to which we log in with a key, an Amazon.com, eBay or whoever you know and trust…) and the fact that the information is recorded publicly, rather than on secured servers behind firewalls. This means that transactions can be faster, cheaper and easier to access, while maintaining security. The Blockchain enables entities to digitally transfer money and other assets directly, securely and near instantaneously. The Blockchain reduces the settlement window from few days to maybe a few hours. All the financial industry is based on managing that window. An international transfer could take as long as five days to settle, during which the counterparty can fail or the exchange rate can change or you can have a credit risk. Lots of people, working on managing that risk which is completely reduced, or even eliminated, and all those people and technologies that manage that risk are becoming irrelevant. Credit card network companies are using the Blockchain to enable micropayments, whose value would typically be too small to process in the traditional manner due to the fixed costs of credit card payments. Visa, Nasdaq, Citi, Capital One, Fiserv and Orange have come together and invested in Chain.com. They will gather twice a year in a Blockchain working group to discuss their learning. Follow My Vote is a non-partisan organization on a mission to restore faith in the democratic process. 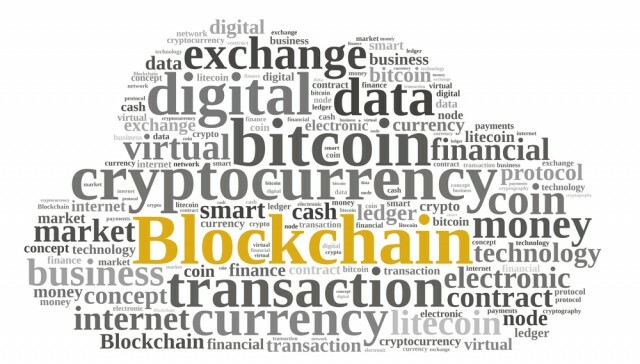 As digital innovations in technology change the way that money moves around the world, businesses need to keep a close eye on Blockchain and be prepared to adapt and transform their services accordingly. 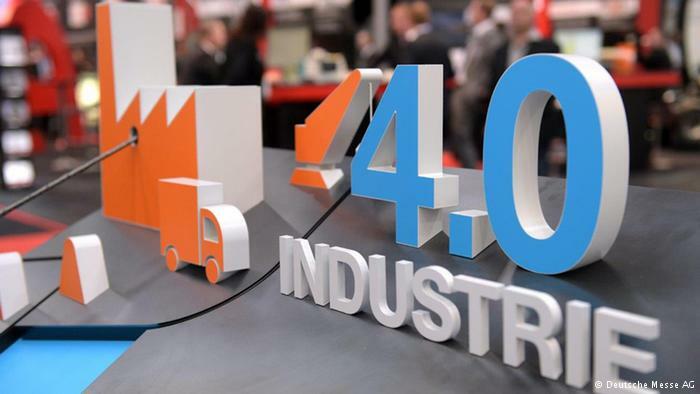 The term Industry 4.0 was coined by the German Government which indicates the use of the latest digital technologies like the Internet of Things in the manufacturing industry. Sometimes it is also known as Industrial Internet of Things (IIoT). It refers to the 4th industrial revolution. Industry 2.0: introduced mass production with the help of electric power. Industry 3.0: use of electronics and IT to further automate production. In the Internet of Things, sensors having the ability to collect real-time data which can be used by manufacturers and producers. The advancements in big data and powerful analytics means that systems can scan through the huge sets of data and produce insights that can be acted upon quickly. Smart factories, which will be at the heart of Industry 4.0, will take on board information and communication technology for an evolution in the supply chain and production line that brings a much higher level of both automation and digitization. Industry 4.0 represents a giant leap in the evolution of machines, today, our machines are connected with each other, their physical environments, and most importantly, to people. Companies have just begun to adopt additive manufacturing, such as 3D printing, which they are using to prototype and produce individual components. In the future, companies will make much broader use of augmented reality to improve decision making and work procedures. In the virtual world, operators will learn to interact with machines by clicking on a cyber representation. They will also be able to change parameters and retrieve operational data and maintenance instructions. Manufacturers should make the most of Industry 4.0 with this adoption of digital transformation.